With the snow falling outside and temperatures plummeting I decided that the littlest members of the family should hide inside until that school run dragged us out. Toddlers inside all day is not my favourite way to spend the day. It can be a challenge to keep them occupied. It is even more of a challenge to keep them occupied with something other than tearing the house apart or taking unnecessary risk. So at some point I always head to messy play or crafting and usually regret it when I am tidying up. So far this afternoon my jumper got blue paint on it and one of the girls socks are a right off! They are having a great time though… I meanwhile am slapping on that smile and trying to stop myself from controlling the activity. I do struggle when everything just goes brown due to over-painting and have a tendency to jump on in and direct operations. Ohhh! 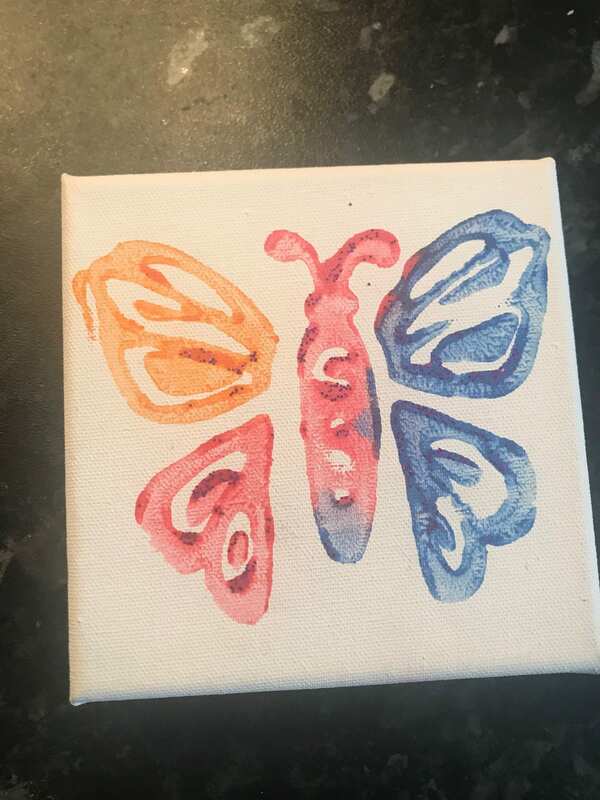 I am really trying to bite my tongue…..
Today’s craft keeps it really simple just using a small canvas each, some paints, some glitter (as glitter makes anything look better) and a stamping shape or two. We are basically doing mark making and experimenting with colour – it turns out everything leads to grey sludge! 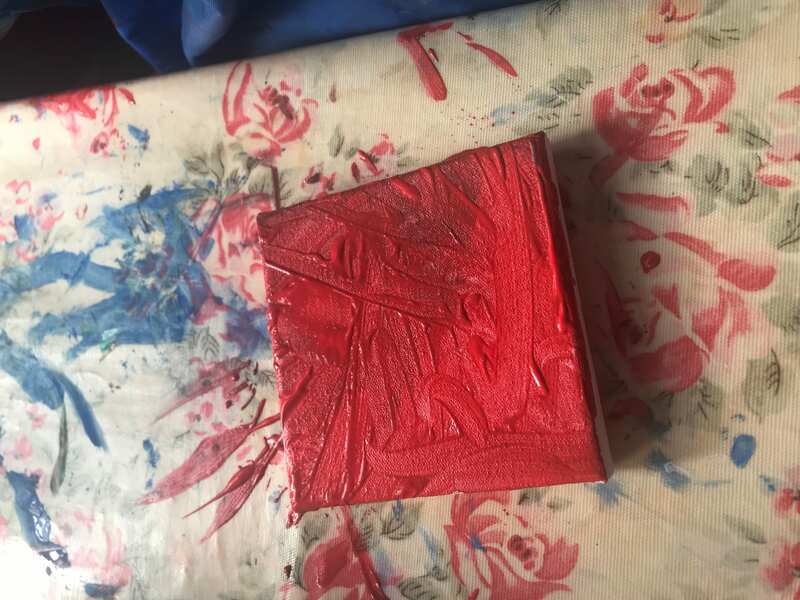 The great thing about canvas is that when it does go wrong (as long as you are quick) you can simply wash the paint off under the tap and they can start again. At last count they were on their third go round with the same canvas. 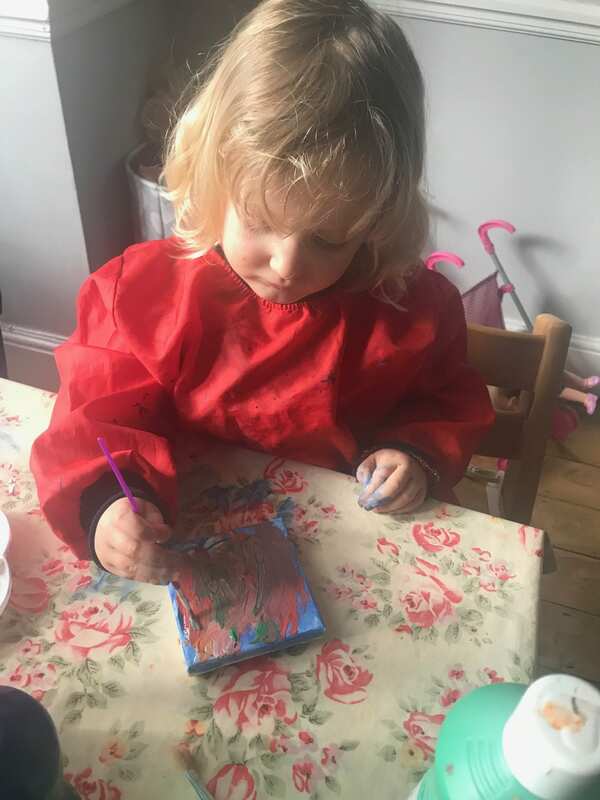 I am not sure any of these creations will be making the wall,but as you can see from the pictures they were very much into it and enjoying the messy play. I think they loved most that as soon as they were finished they could start again. 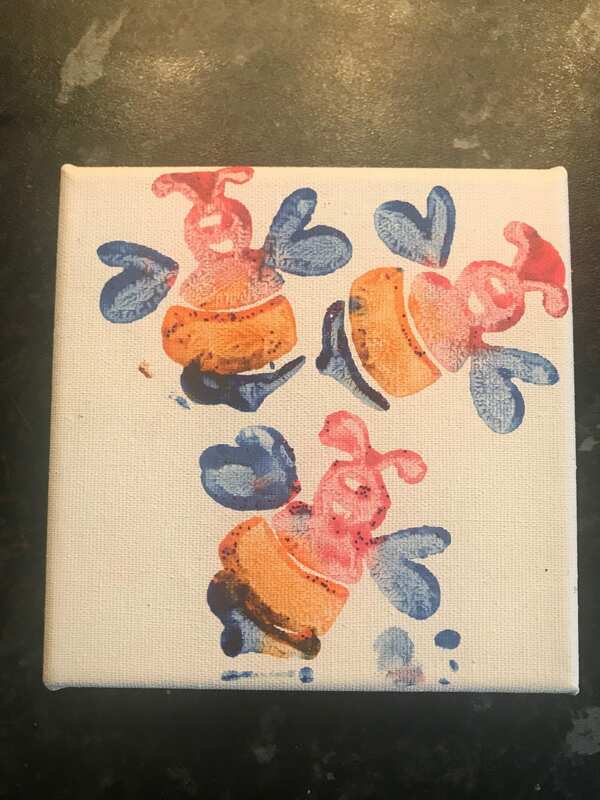 This activity has given us a great chance to talk about and have a go with different colours, different paintbrushes and stamp. They are learning what they can create so who cares if it isn’t quite worthy of the Tate just yet! I didn’t get expensive ones as I knew that lots would be ruined, but the ones from the pound shop and wilkinsons my first ports of call for crafting were far too big to put up more than one or two. After we did these I gave them back their canvas and they went wild with the stamps. It really was messy play then! We ended up slapping a load of glitter on their uncontrolled versions so and they will also be heading to our canvas wall! Our canvas wall is really our memories wall as it is creations done by close family and friends as well as us. 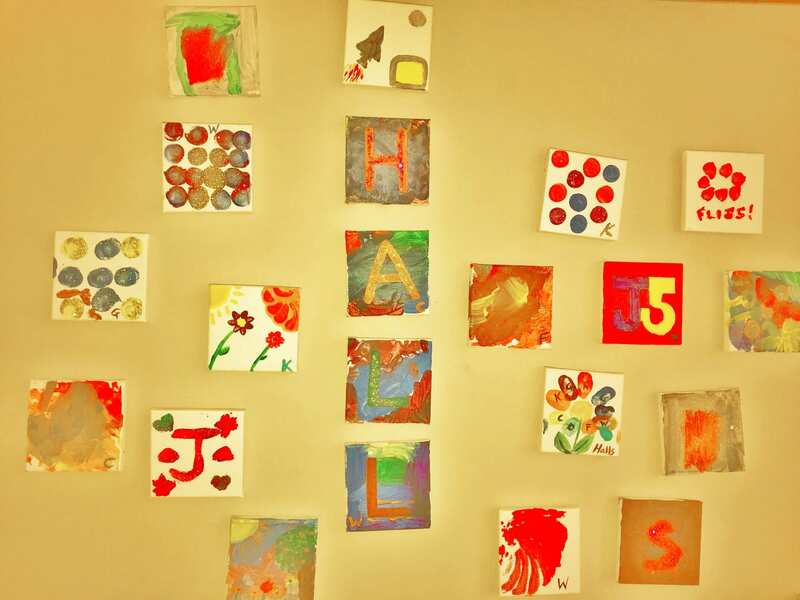 It is a wall that reminds us of those we love as well as looking colourful and cheering up our family room. I only started it last year and it will always be a work in progress. We love it and add to it whenever different people come to visit so its almost like a guest book, but one that we actually look at and appreciate everyday. 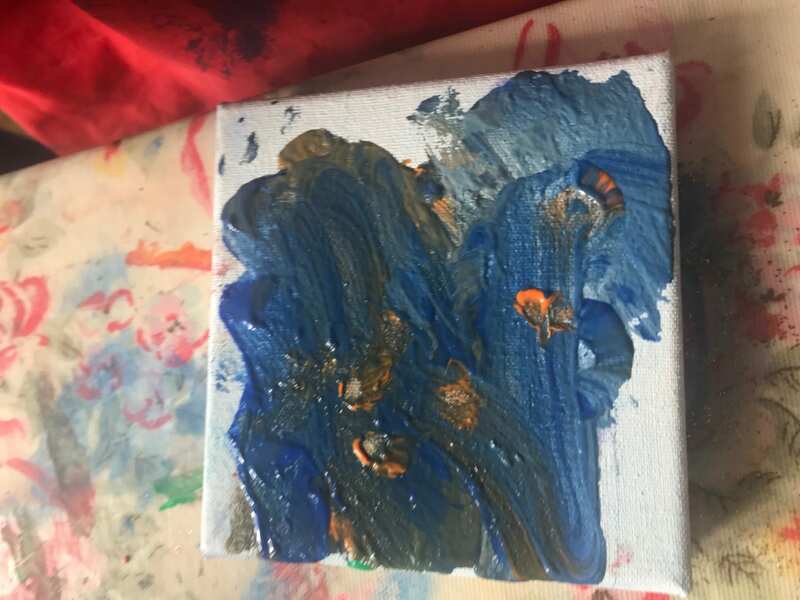 So that’s it canvas, paint and toddlers – it’s messy but fun! 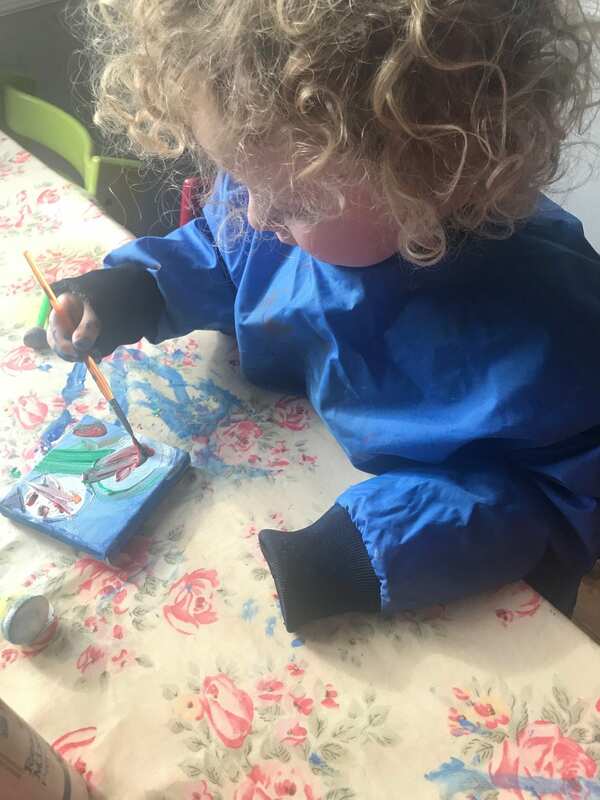 LITTLE MAN HAS REALLY STARTED TO ENJOY PAINTING, WEVE GOT AN AQUADOODLE MAT WHERE THE PAINT DISAPPEARS WHEN THE WATER DRIES UP, ITS MESS FREE AND PERFECT FOR THOSE JUST STARTING TO GET INTO THE PAINTING WORLD! ONCE HIS MOTOR SKILLS GET A BIT BETTER, GIVE IT A MONTH OR TWO AND ILL BE COVERING THE TABLE SO REAL PAINTING CAN START! THANK YOU FOR SHARING THIS WITH US AT #TRIUMPHANTTALES. I HOPE TO SEE YOU BACK NEXT WEEK. We have those too and they have mini versions for taking out with you. We use them as in car entertainment. They have saved my sanity in many a traffic jam! When you start real painting I recommend a roll of paper from Ikea they are only £3 and we just roll them out to cover the whole table although I do also have an old oilskin tablecloth that sits under the main one for crafting purposes.